The weather that day wasn’t supporting me. 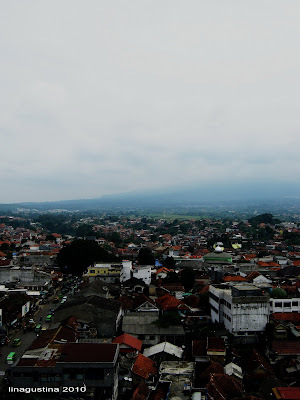 I captured these views from the 3th floor terrace at Bogor Trade Mall (Bogor, West Java, Indonesia). The sky was so gray and the clouds covered the mountain. If the weather is clear and bright, you can see the peak of Salak mountain there. I hope I’m able to capture the clear Salak mountain view one day.